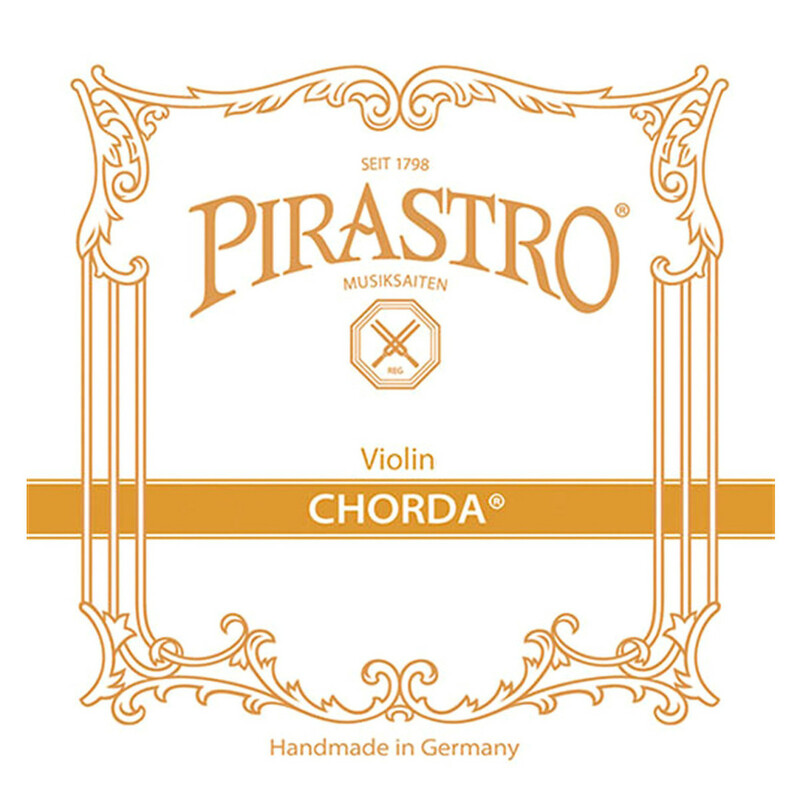 The Pirastro Chorda Violin String Set offers a classic tone with modern comfort. The gut cores produce warm, clear sounds with versatile action. The strings have a naturally low tension which allows a comfortable left hand feel. The medium tension has an optimum balance between playability and versatility. The E, A and D strings are left unwound, whilst the G string has a silver winding for a controlled bass resonance. These strings are ideal for baroque styles. The G string has a knot end, with the others featuring ball ends. 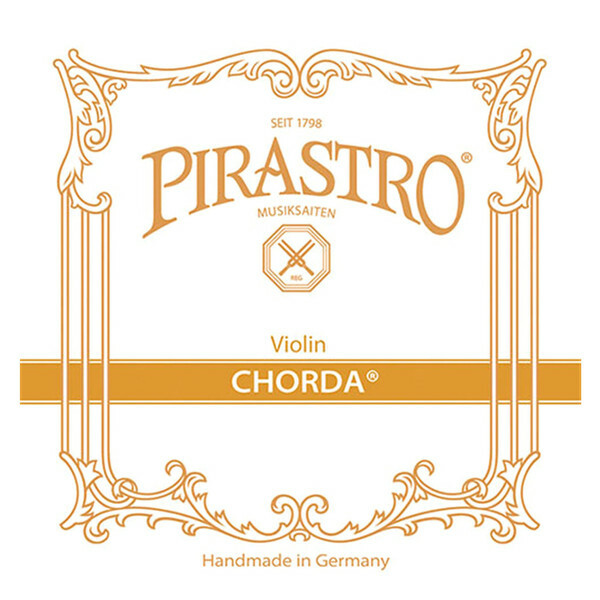 The Chorda series of strings offer players a traditional sound. The sheep gut core has a warm, soft sound that is commonly associated with classical pieces. The silver winding on the G string has more forgiving playability and a slightly brighter edge. These strings are best suited to a 440Hz tuning for optimum stability and clarity. The medium tension offers consistent playing accuracy and tonal balance. The Chorda series is ideal for violinists wanting a traditional gut sound with comfortable playability.